Accademia, a brand of Potocco Spa, was born in 1989 and represents perfectly the willingness of the company to anticipate and lead the trends of the market. This forward-looking approach has been permitting the company to introduce new materials in its production processes such as metals, laminates and ropes which, thanks to the use of outstanding technologies like the die casting and the numerical control machinery, are used to manufacture high-quality products that best fit customers' needs. 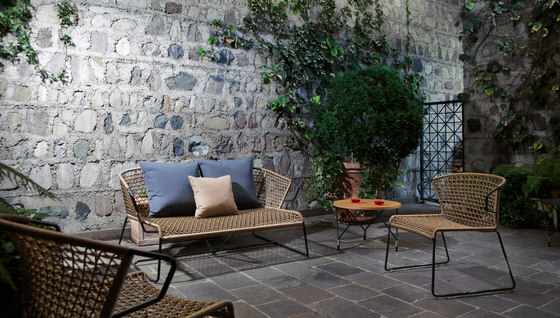 Moreover, Accademia's products are suitable both for indoor and outdoor and their design is for sure innovative and attractive, as proven by Vela's armchair, which in 2006 won the "reddot" design award.